Mega Power's Engine Oil Treatment is helping car and equipment owners end troublesome running and performance negatives in their vehicles. This breakthrough chemistry product uses Hi-tech problem-solvers, to end power loss, oil burning, blowby, and noise tapping. This avoids what could be an expensive repair. 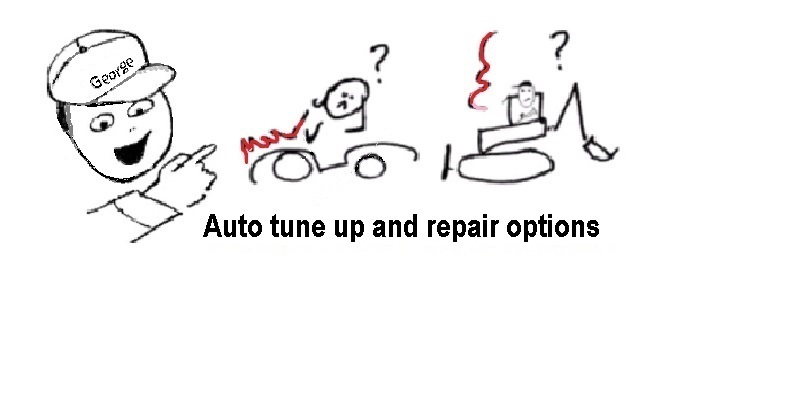 Are you looking for an economical way to end those kinds of automotive problems - look no further! Mega Power, a Researcher an Inventor of problem solvers for the industrial machinery an automotive markets may have what you're looking for. Mega Power's secret is that it goes where oil or other additives cannot - to remove the root of your vehicles problem causing condition. Frees sticky piston rings. This stops excessive corrosive combustion to slip pass the top of the pistons and mix with, and sludge the motor oil below. The is called blow-by, and causes faster wear, lower horsepower output, and tapping - Mega Power corrects. Cleans valves and combustion area - valves, devices that let the fuel into the combustion area and exhaust out of your motor are covered with a crusty, power lowering, tapping, and sometimes rough idle problem - that Mega Power corrects. Wear an acids etch an roughen the original smooth shinny surfaces - which Mega Power smooths, heals, and then covers with a protective anti-wear. This is what your motor needs. While engine repairs can run over $3000 cost for the car owner, Mega Power's method; not as good as an overhaul, does provides years more dependable usage for the owner. 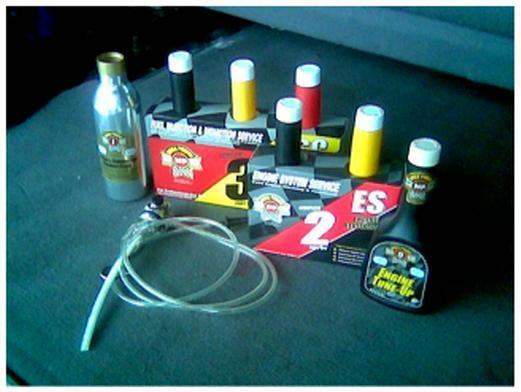 Mega Power Motor Oil Treatment includes 6 items needed. 3 for top motor cleaning and 3 for bottom oil system cleaning. Comes with easy to follow directions, phone help, guarantee, shipped to your door in about 3 days. Add as as shown and drive. Nothing to take apart. Just $84 plus $15s&h= $95.00 total. By using a simple, 2 step motor oil Treatment install procedure, anyone can install, you can return your motor's [and transmission, if its so treated] run-good-as-near-new, doing so with just a little bit of driving. Since 6 of your motor's areas contribute to its wear and tear, oil burning, combustion blowby, sticky valves, valve lifters tapping, and friction drag, you have the only chemical tool around to clean and restore conditions to return your motor's long-term usefulness. Mega Power ends the undesirability and feeling that dirty conditions gives you, making you think the motor is worn out - when it's not! Mike says, his motor sounded like "terrible rock music" ready to die. Then, changed to running like a smooth symphony power and smoothness, shortly after he installed Mega Power in his 12 year old car motor. ....."So now the music that my engine was producing was a concern to me. In the back of my mind I was wondering what damage was I causing by ignoring this issue. He could hear my engine making a tapping noise even across the parking lot. Later, after Mikes installed Mega Power the motor, Mike says ... Read Mikes "car music to his ears car" experience. If you read this far, you may feel Mega Power may be the engine oil treatment your car or equipment needs. If so, try Mega Power at no risk, and see for yourself what tens of thousands of us Mega Power users swear by - a great running car and equipment again..
Like us, your motor will run like a great orchestra with this engine oil treatment from Mega Power! Motor oil burning. Combustion escape into your motor oil, called blowby. Sludge caused, valve and lifter tapping. Rough motor idle, running, and or mysterious stalling.